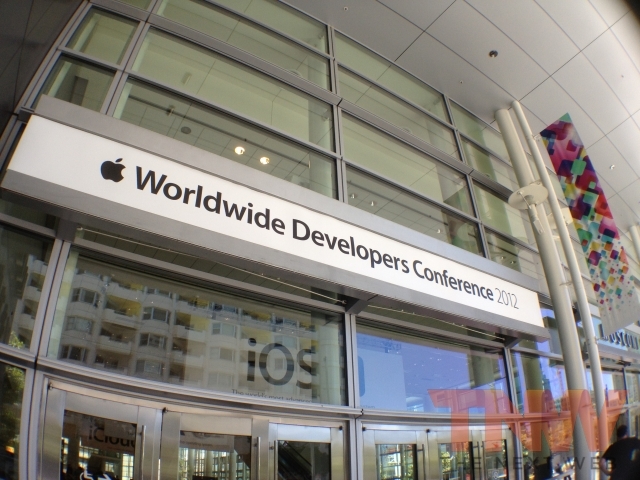 At Apple’s WWDC 2012, Phil Schiller confirmed that Apple will swap out its support for Google Maps and launch its own service, adding Yelp reviews, traffic reports and anonymous updates from other iOS users. Apple has already added 100 million Yelp listings for local search, included its own custom mapping tiles and traffic service that not only shows you if your route is going to be delayed but allows any iOS user to contribute traffic updates and warn fellow drivers of delays ahead of them. 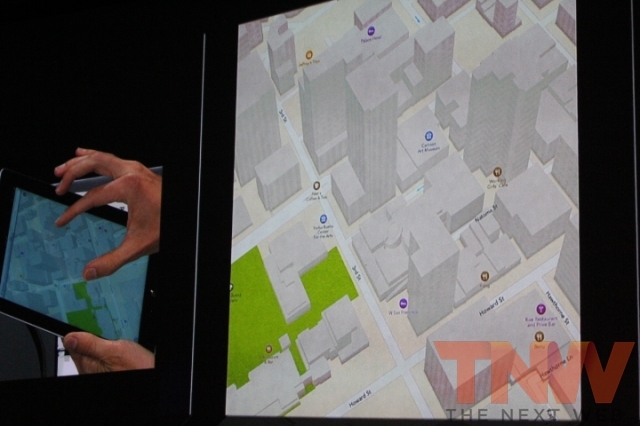 It will update from the lockscreen, without needing you to open it and uses 3D data that has been taken by its own fleet of planes that have mapped out metropolitan areas. Those features that Google announced the other day? 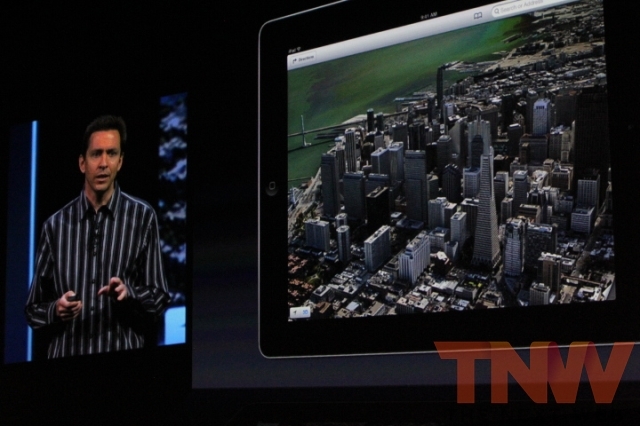 Apple has its own version, and the vector-based tiles are stunning. Apple also said that its 3D models and textures are all rendered in real-time, allowing you to manipulate the camera angle yourself.